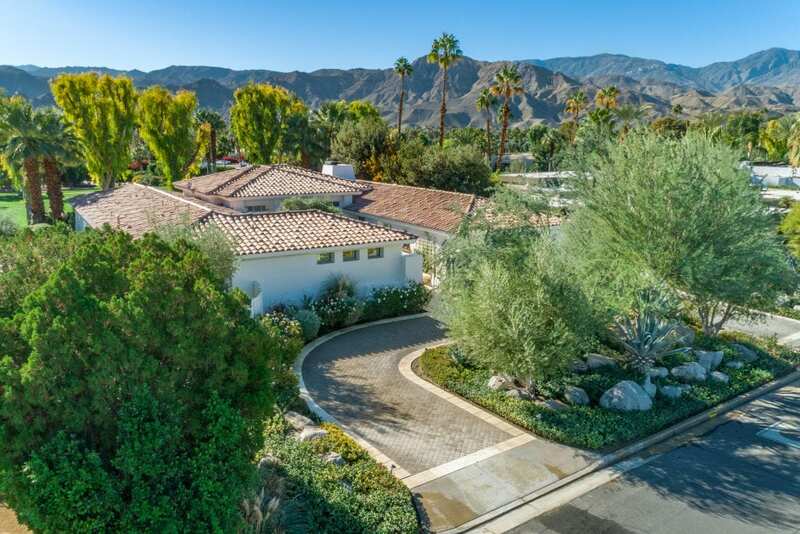 Majestically sited and overlooking the breathtaking fairways of Tamarisk Country Club, this gracious and casually elegant contemporary Villa will dazzle your senses. Perfect Palladian U-shaped floor plan, fountained courtyard entry, high ceilings, monumental windows, walls of French doors, architectural lighting, multiple fireplaces, hardwood and travertine floors and exquisite textures of marble and stone blend to create a stunning environment. Expansive living/dining room with beam ceiling, center island kitchen/family room, three large en-suite bedrooms, including a lavish master wing with two luxurious baths and walk-in closets, plus a small children’s bedroom or office. Romantic garden terraces, towering trees, lagoon pool, spa and forever views of the San Jacinto Mountains. In immaculate condition, this home is a rare offering for those with discriminating taste.